Guest review taken from VRBO on 1/9/19 for Poipu Sands 412 One of our best vacation rentals ever! We were so fortunate to spend Christmas 2018 in Poipu Sands 412. This immaculate, comfortable and beautifully renovated condo was such a treat. Everything has been considered in this unit - from board games for the kids, to local guide books for the adults. We really enjoyed being on the ground floor and the green space in front of condo. The pool was a definite hit with the kids as well as their spacious bedroom. This is a great location and steps away to Shipwreck beach, the beautiful Hyatt hotel grounds and many walking trails. Thanks Great Vacation Retreats for such a great rental experience! Guest review taken from VRBO on 1/9/18 for Poipu Sands 214 Simply wonderful The property was as described, the free rental car was so convenient and a nice perk, and when we arrived there was a lovely surprise gift of fruits and locally made healthy foods. The customer service was very fast with immediate responses and follow-up with any questions. Definitely recommend!! Guest review taken from VRBO on 1/9/19 for Poipu Sands 513 Amazing Poipu Sands Stay We had a great time at this condo; it was perfect for us. The location was great as the lanai looked out at Shipwreck Beach and had a perfect view of the sunrise each morning. The condo was clean, updated, a great size and well stocked. It had everything we needed. We would definitely come back! The staff members were prompt and polite in answering all of our questions before and during our stay. ---MANAGER'S RESPONSE: We do our best to provide quality service! Mahalo! We loved the location and overall set-up of the property. The living space was perfect for our vacation with extended family. The beach chairs, boogie boards and other beach supplies were great. ---MANAGER'S RESPONSE: Beach chairs has been a common request from guests, so we have recently began stocking our inventory with beach gear that we can deliver to guests when called in. We're happy you enjoyed your accommodations! Best rental agency we have dealt with in a long time and we are avid travelers ---MANAGER'S RESPONSE: Mahalo, Ursula! We appreciate it! Very enjoyable, would work with you again ---MANAGER'S RESPONSE: We look forward to it! Mahalo! Guest review taken from Airbnb on 1/7/19 for Kuhio Shores 201 We had a great stay at Kauai. It was a great location to stay at and it was quiet and convenient to stay. Guest review taken from Airbnb on 1/7/19 for Pili Mai 15L Pili Mai 15L exceeded all of our expectations. It is a gorgeous property in a beautiful location on the south side of the island. It was sparkling clean and well stocked with everything we needed. The hosts were easy to communicate with and all of our questions were answered promptly. We will definitely be back and can not recommend this property enough! Responses were prompt and a small issue was handled quickly and effectively. ---MANAGER'S RESPONSE: Mahalo for staying with GVR! Everything was great. The one suggestion would be to include beach chairs/umbrella in the rental. ---MANAGER'S RESPONSE: We will share that comment with our team! Mahalo, James! Guest review taken from VRBO on 1/6/19 for Puu Poa 413 Loved every minute Fantastic! We especially enjoyed the welcome basket, the bottle of wine and the note. We will definitely rent from you again! Guest review taken from VRBO on 1/6/19 for Poipu Sands 222 Poipu Sands #222 was outstanding in every way, from communications and check in, to cleanliness and comfort. The included rental car made the total cost economical. The property itself is in a fantastic location with Ocean views, and the unit was clean and thoughtfully appointed. No air conditioning is annoying, but par for the course in Kauai. Overall, a fabulous experience and we would stay there again. Guest review taken from Airbnb on 1/6/19 for Pili Mai 8I Pili Mai was perfect for our needs. Exceptionally clean, lots of space for a big group, and just the right distance from points of interest. Would stay here again in a heartbeat! All personnel contacted super friendly and helpful. Great experience and will use your company again ! ---MANAGER'S ReESPONSE: Mahalo, Gysbert! Beautiful condo, pool, and grounds. AC and washer/dryer very useful. Highly recommend this condo. ---MANAGER'S RESPONSE: We love Pili Mai! Thank you for the opportunity to share this special place with you folks! Aloha! Guest review taken from Airbnb on 1/3/19 for Regency 810 Great Vacation Retreats was terrific to deal with and very professional. The condo was clean and well-stocked. Proximity to beach, restaurants, and other amenities was good. I would have preferred to be on the 2nd floor, but we were late to the party on making our Christmas plans. Overall, we were happy with our stay. Thanks GVR! Guest review taken from Airbnb on 1/3/19 for Kiahuna pLantation 40 Stress free, honest quick communication. A beautiful place to stay. Poipu beach is simply amazing. Unit had everything we needed. Loved the athletic club too! A wonderful experience! I didn't work with them the staff that much, but received informative texts and emails and appreciated how quickly they responded so over all I am very satisfied. ---MANAGER'S RESPONSE: Mahalo, Tom! We had a very nice stay and its a very nice condo. We have owned nice vacation homes and rented them out so I have some observations and suggestions that I would do for my guests: Put nice door mats outside and inside of both front and back doors. We had to use the neighbor's mat to wipe our feet before entering the house and a beach towel to wipe our feet after coming in from the back grass area. I'd install a light out on the back porch for bar-b-quing. We had to bbq in the dark. I'd put a fan in the bathroom - it steamed up very quickly. I'd invest in a universal remote control. It took a very long time to figure out how to work the tv with the original individual remote controls. Otherwise, the condo was very nice. Maholo ---MANAGER'S RESPONSE: We have shared your message with the appropriate departments! Mahalo for the feedback and we will definitely have a talk on plans to implement ways to improve the guest experience! You have been wonderful guests and we would love to host you again in the near future! My daughter said the check in experience was wonderful. She was able to check in early and said the two women who were there were excellent. Every time I texted I was replied to in a very timely manner. ---MANAGER'S RESPONSE: Mahalo, Kathryn! We appreciate our office staff as they push to keep connected with guests, making them feel at home. We LOVED your property. It was so well stocked with everything we could have thought of. One thing we would suggest that for a house this size which normally will house bigger groups, is an extra refrigerator placed in the pantry area. With so many people we had so much food that needed to be refrigerated and with that quantity, it severely reduced the efficiency of the refrigerator. That would be a huge plus. The bathroom door in the master bedroom needs to be fixed. It was hard to close but even harder to open if it was closed so we never closed it. And one last thing. Again with the house naturally hosting larger groups, a stronger internet connection would have been GREATLY appreciated. WiFi was very spotty and frustrating. Aside from those things I can assure you that we will be back with the entire family. We had such a memorable time. Thank you for your hospitality. The Karels ---MANAGER'S RESPONSE: Mahalo for your feedback! Your notes have been shared with the appropriate departments. Although we see that the maintenance issues you came across did not deter you from enjoying your vacation, we apologize for the inconveniences and we hope to help make your next stay an even better one! You have been amazing and understanding guests, we would love to work with you, again! Thank you, Kathryn! Guest review taken from VRBO on 1/4/19 for Poipu Shores 101C Amazing location! We saw turtles and whales everyday. The condo is beautiful. The location is incredible. Very quiet and peaceful. Easy walking distance to the beaches and restaurants. Loved it!! 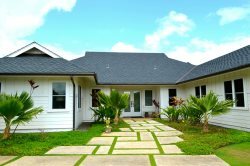 Guest review taken from VRBO on 1/2/19 for Pili Mai 15H Clean property and good access to southern beaches Clean, new construction. Wish the pool area was bigger, however it wasnt crowded. Place was roomy for our family of 6. Guest review taken from Airbnb on 12/31/18 for Kiahuna Plantation 150 We loved out stay. The unit was clean and charming. Communication was super easy, and the rental car was great! We loved being so close to the beach. We would definitely come again! Our Poipu Sands condo was exactly as advertised. Beautiful, clean and perfect for our family of four. I would not hesitate to recommend GVR and Poipu Sands 412 to my family and friends. Loved the proximity to Shipwreck's beach and the well lit paths for evening strolls. My kids thoroughly enjoyed the pool. Wishing we had stayed in this unit for the last 5 days of our vacation versus rainy Princeville and a resort with no pool and walking paths. ---MANAGER'S RESPONSE: Mahalo for the feedback Lori! We love Poipu Sands just as much as you do! It really is in such a convenient location and the walking path to The Grand Hyatt, to Shipwreck Beach, and even to Poipu Beach Park, is a nice touch. It's a perfect place for a family to adventure around and enjoy everything that Poipu has to offer!